Looking for the greatest mountain vacation you have ever experienced? That is what you will find at the newly constructed “Mountain Majesty with Swimming Pool”! 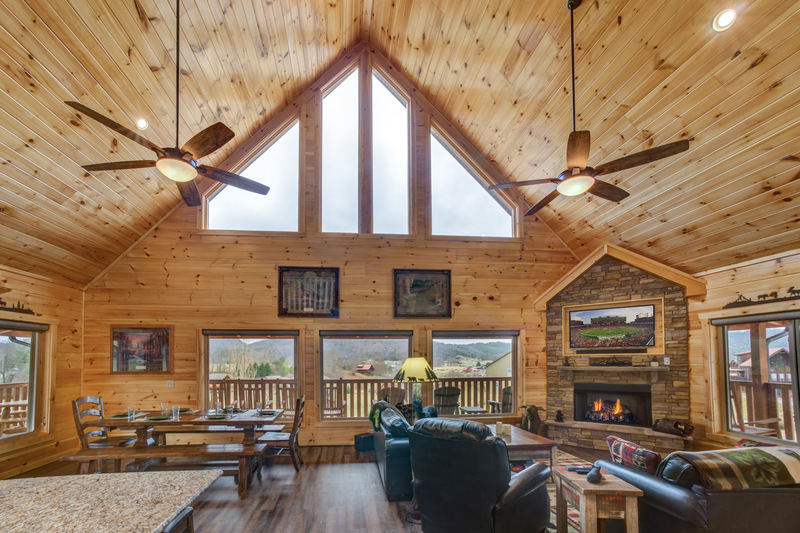 “Mountain Majesty with Swimming Pool” is a 3 bedroom 4.5 bath vacation mountain getaway in the Great Smoky Mountains located in the beautiful Wears Valley area and just minutes from Pigeon Forge and Gatlinburg Tennessee that will accommodate a total of 9. 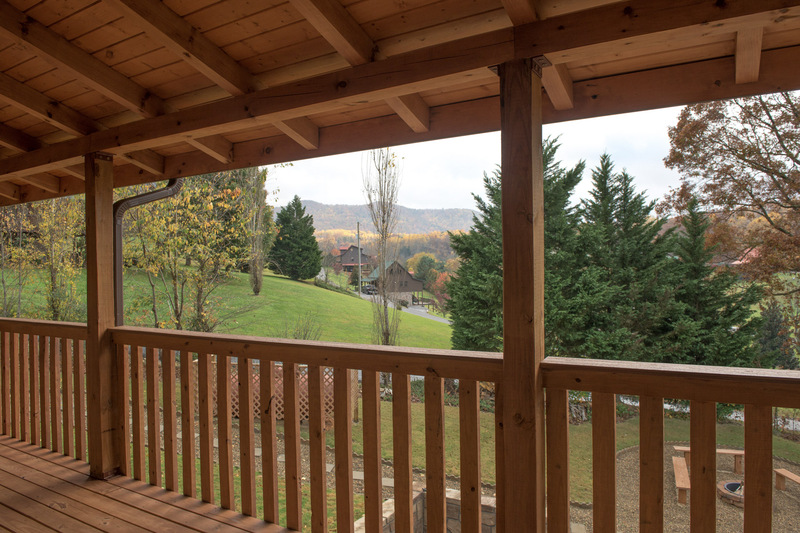 Step up onto the huge 10 foot wrap around covered porch with views all around and rocking chairs aplenty to soak up the awesome mountain views. Head inside to the open kitchen, dining and living room area with a wall of windows to enjoy the view from any angle located on the main level. The kitchen has all you need to make this your home away from home – with granite countertops, stainless steel appliances and a great island for all to gather around. 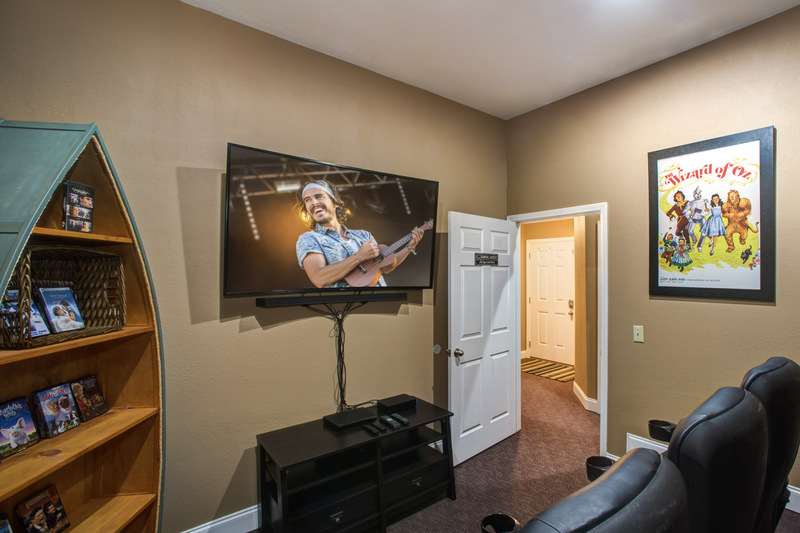 The living room has a gas stacked stone fireplace and ample seating to enjoy the 55 inch flat screen TV or the awesome views out the wall of windows. 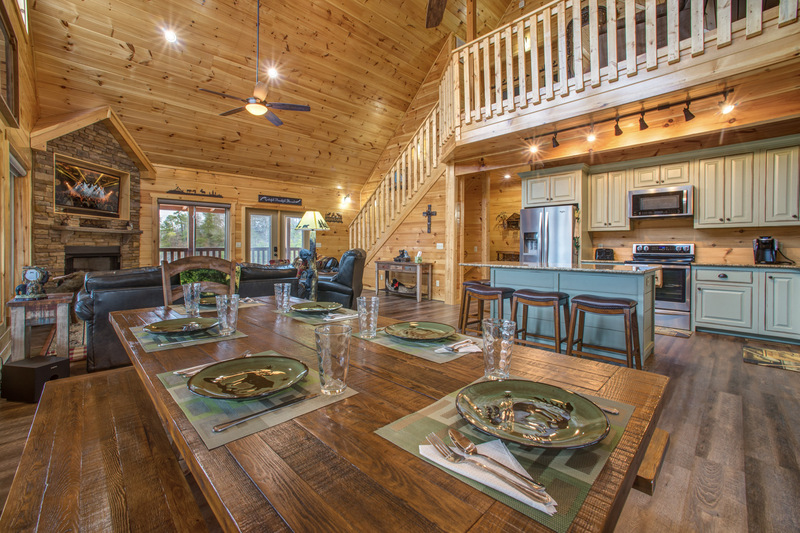 There is plenty of room to dine at the large dining table while enjoying the awesome views. 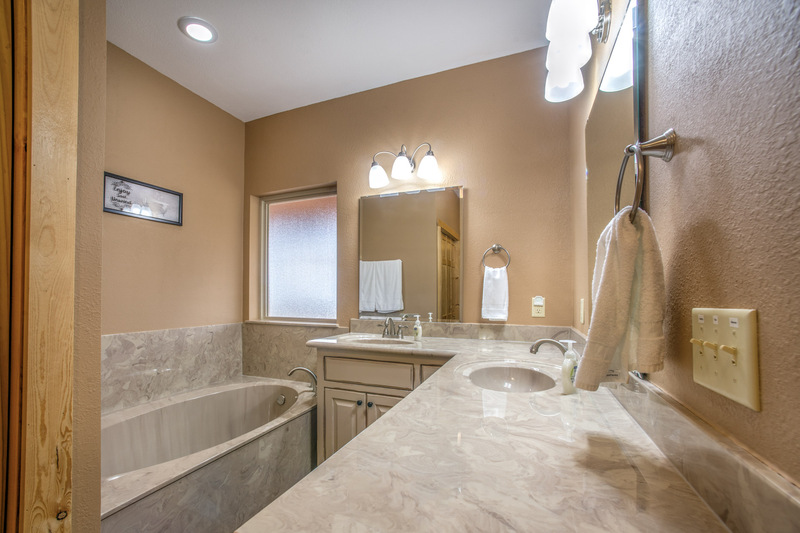 One of the King Master Suite’s and your own private bathroom featuring a cultured marble soaker tub and an oversized cultured marble step-in shower are located on the main level. 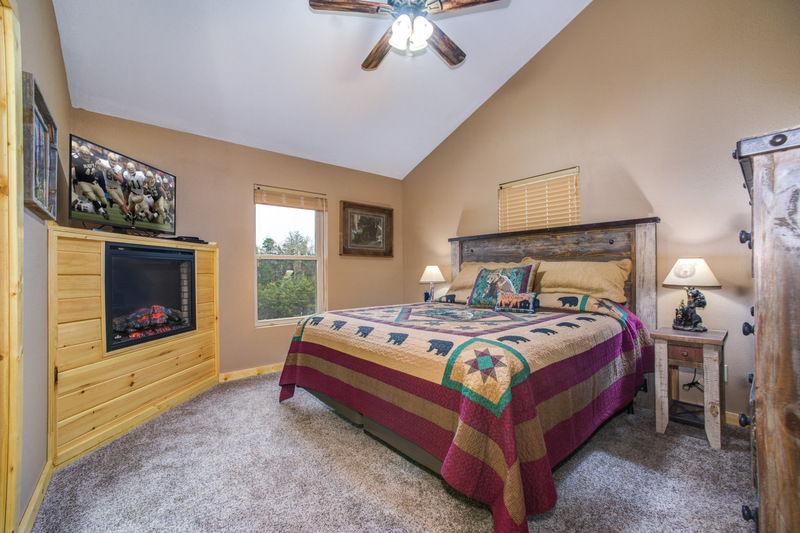 In this King Master Suite you will enjoy an electric fireplace and a 55 inch flat screen TV. 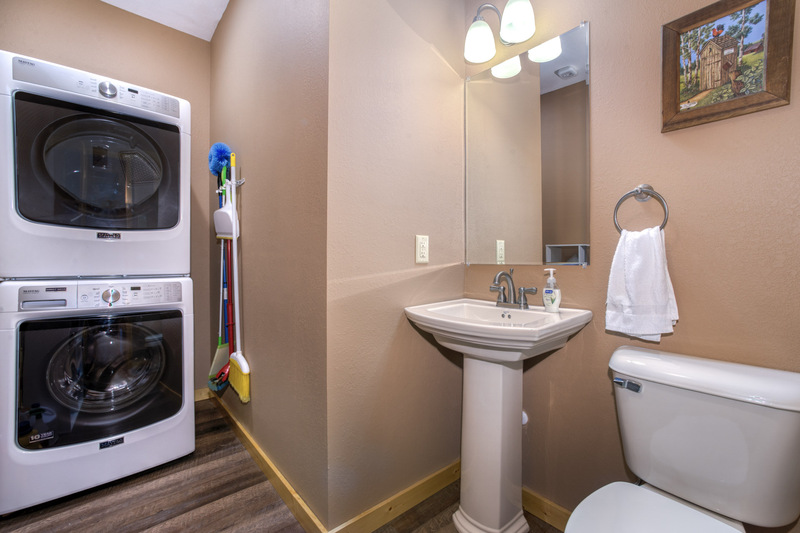 There is a half bath and laundry area also located on the main level. 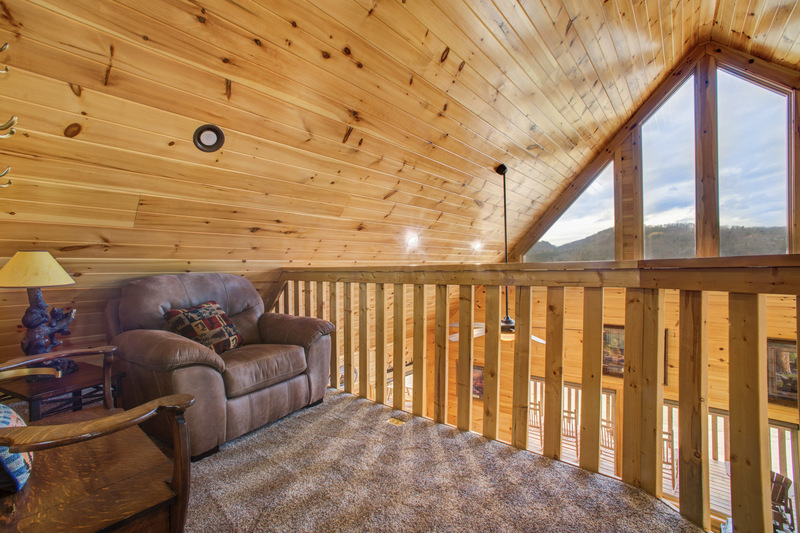 As you make your way upstairs you come to an open loft sitting/reading area overlooking the living room. 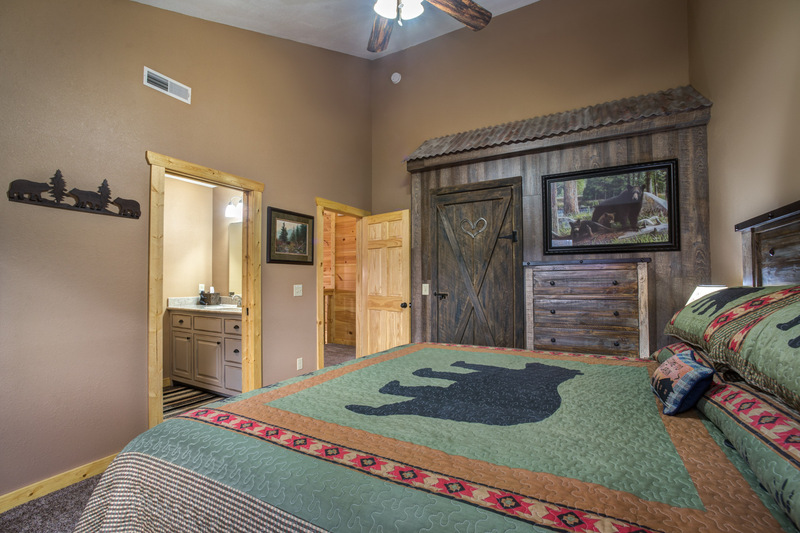 On this level there are 2 other King Master Suites that has its own private bathroom with a tub/shower combo. It also has an electric fireplace and a flat screen TV with a DVD player in each suite. Now just head downstairs for all the fun “Mountain Majesty” has to offer. 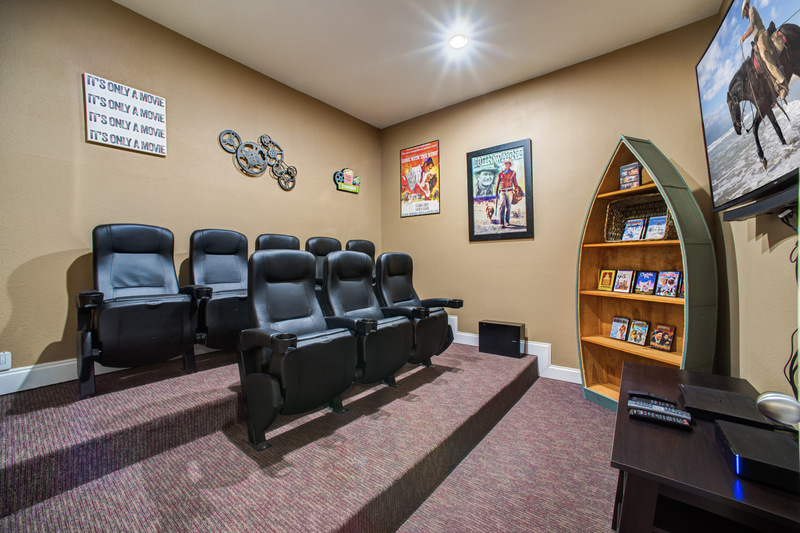 A theater room with stadium style seating for 8 with a 65 inch curved TV, a curved sound bar and a blue ray DVD player. 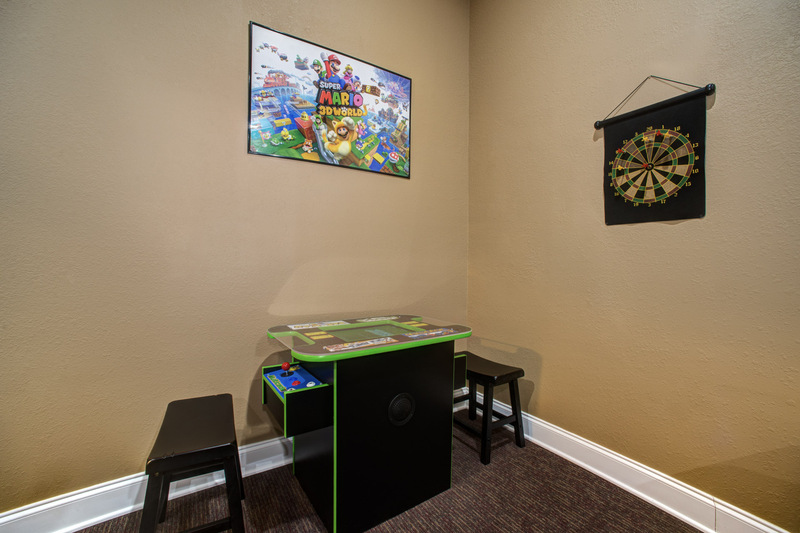 The game room features an official size ping pong table and a 60 game arcade sit down gaming system. Enjoy the other sleeping area with a queen futon and a twin over. 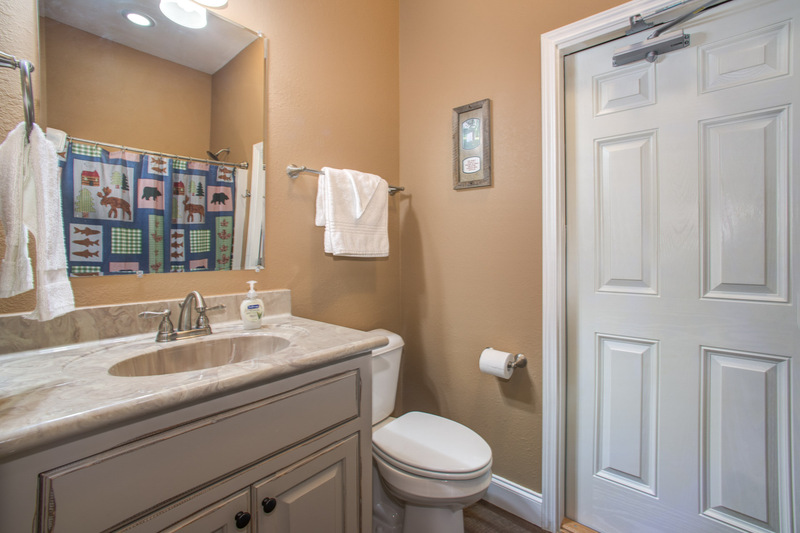 Also find the 4th bathroom with a step-in shower just off the game room. 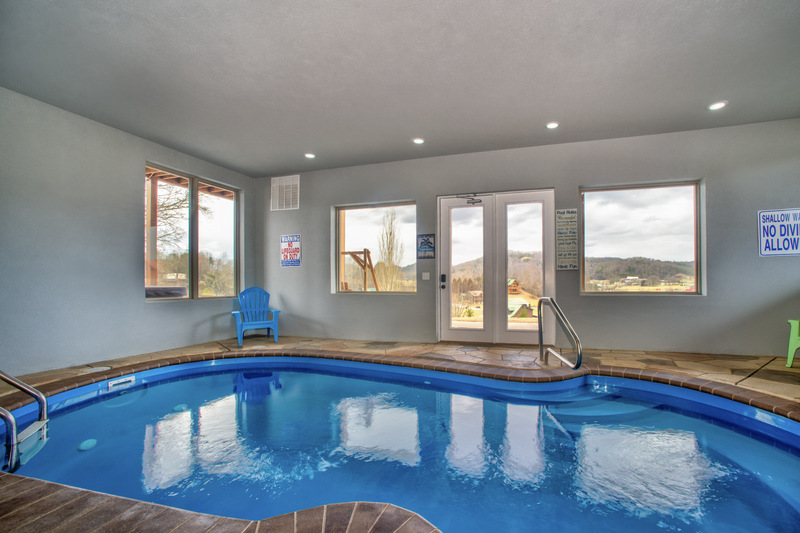 Then unlock the door to a splashing fun time in your private full size heated indoor pool. 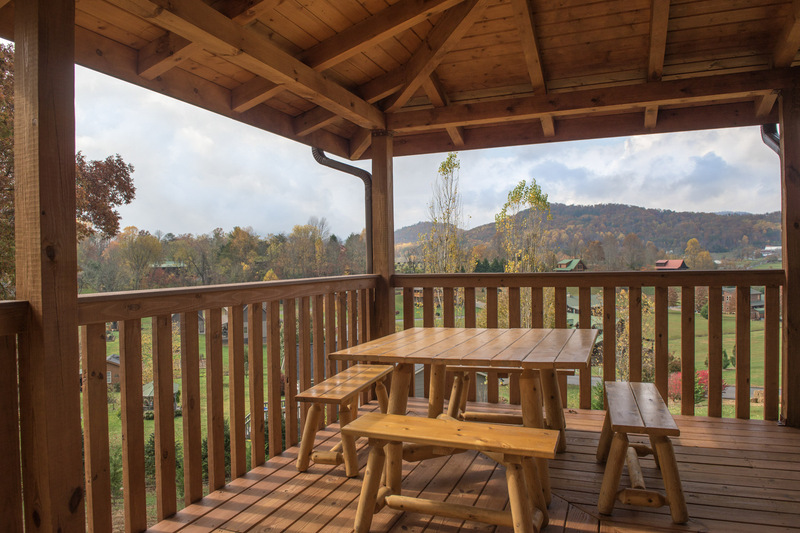 Step out onto the patio and find porch swings to sit back and enjoy the awesome mountain views. 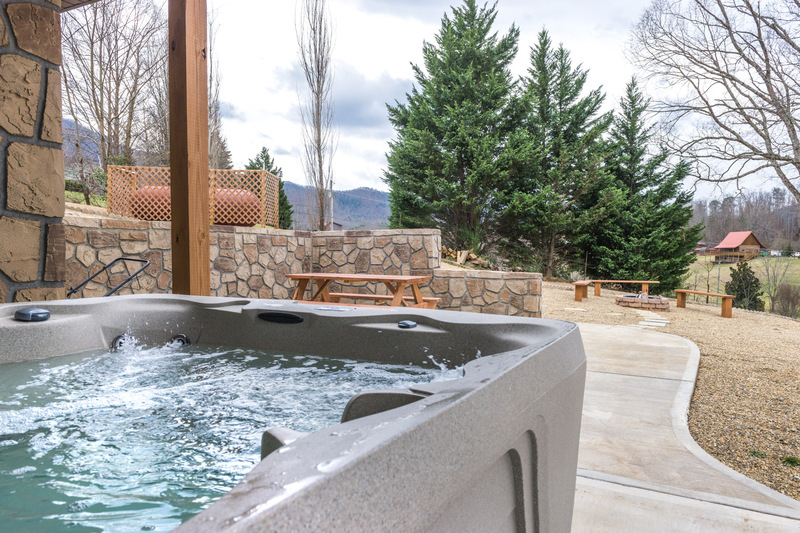 Enjoy a soak in the hot tub after a long day of shopping in Pigeon Forge or after a hike in the Great Smoky Mountains. 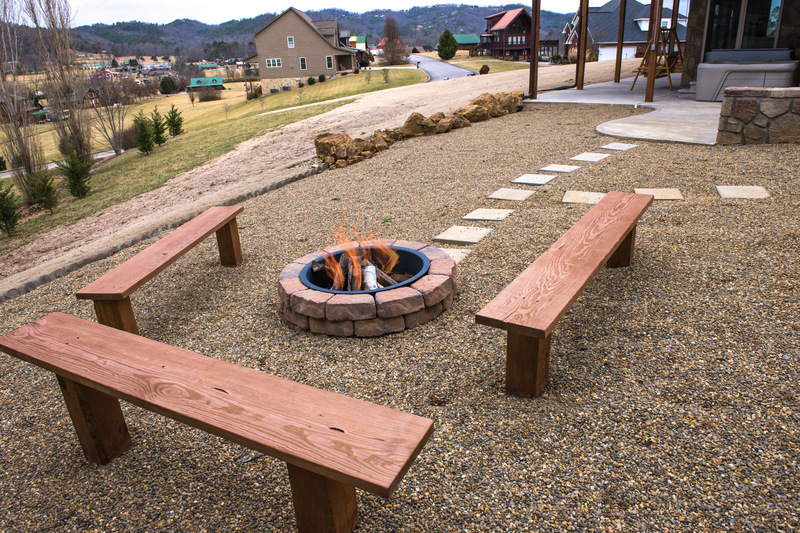 Pick up some wood in the area and build your own fire in the fire pit and again enjoy the awesome mountain views around you. 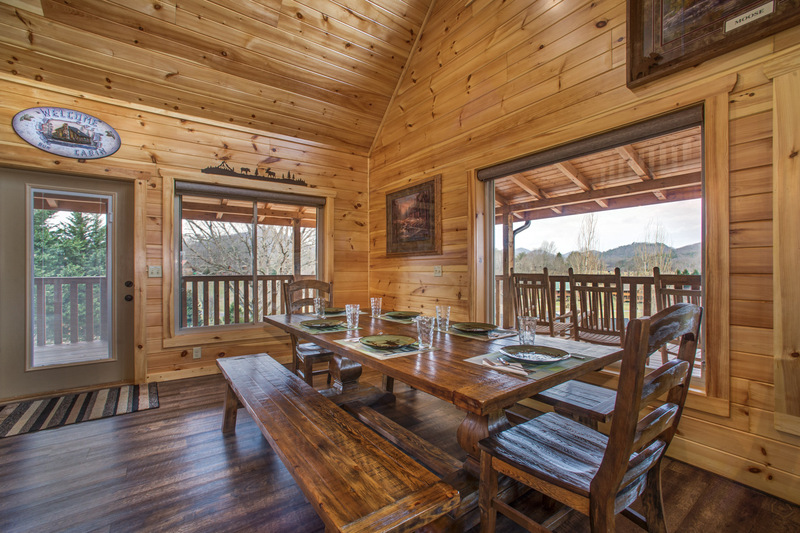 With all that “Mountain Majesty” has to offer you will not want to leave – but you are just minutes away from shopping, dining and attractions that Pigeon Forge and Gatlinburg have to offer. 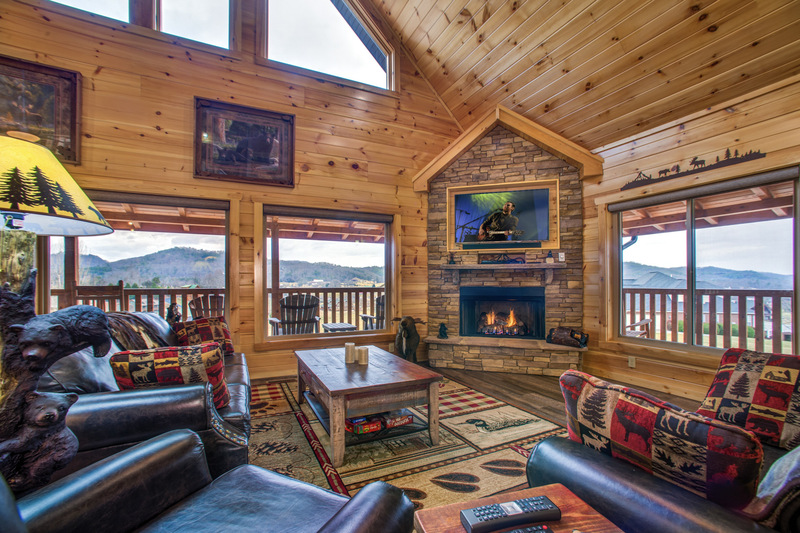 Call us today to book your next Smoky Mountain vacations at “Mountain Majesty”! 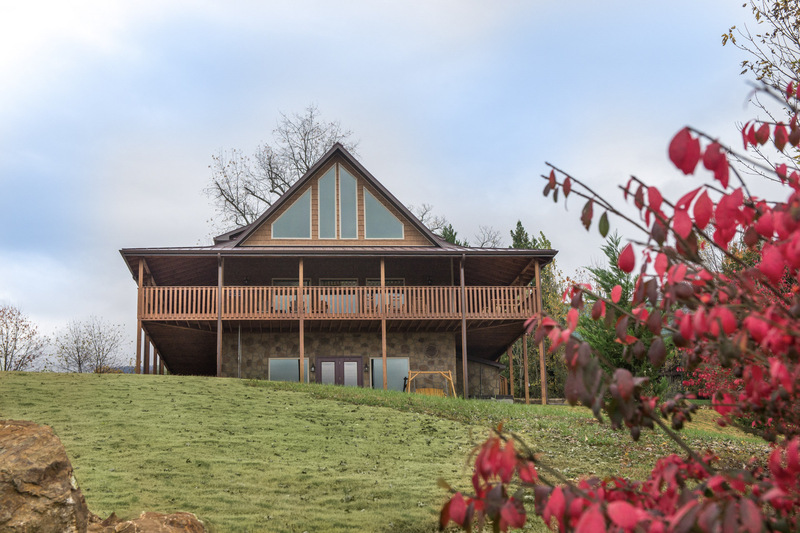 This cabin and Maples Ridge are excellent in every way! Friendly customer service, and a beautiful, clean cabin! We couldn't have asked for more! This was our 5th year in the mountains, and this was the best home we have stayed in. We didn't want to leave this home. The kids loved the big yard! We will 100% stay in this home again! 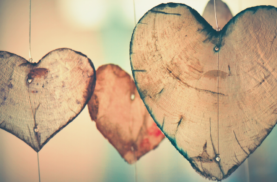 Everything was wonderful from the check in process to the cleanliness of the home! five stars across the board! We brought our sons, 7 and 11 for a short getaway in Mountain Majesty. The Cabin was ABSOLUTELY PERFECT! 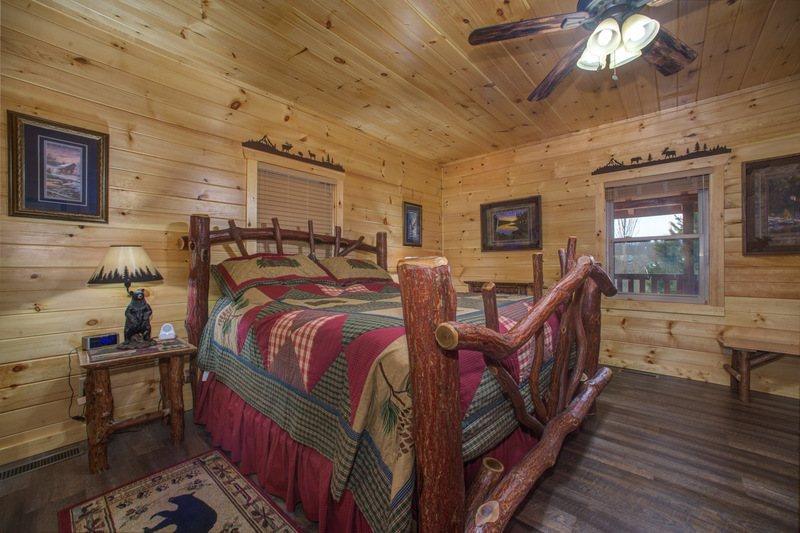 First of all, the cabin was beautifully decorated throughout with very comfortable furnishings. 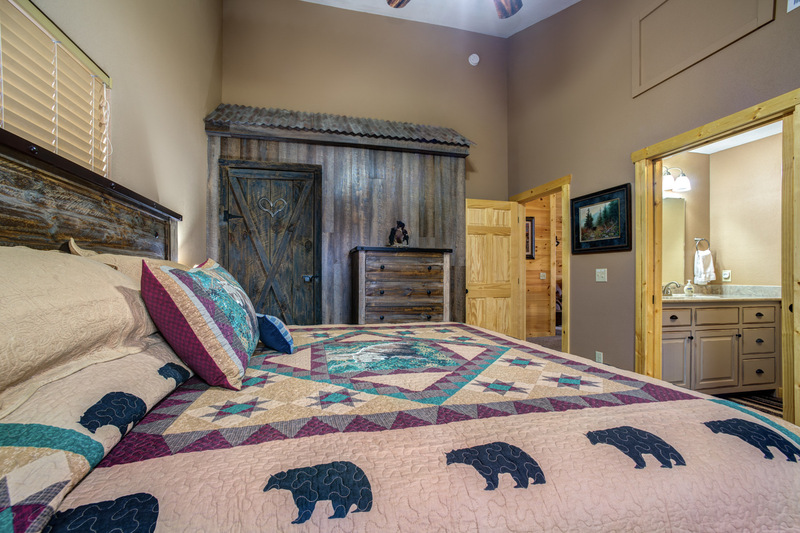 The minute we saw it, we were very impressed......it definitely is not your typical rental cabin (where we've stayed before) - the owners really have given this cabin a true home-away-from-home feel and have thought of everything that you could want or need during a vacation. The cabin was super clean and spacious enough for everyone, yet, it had a great cozy and homey feel. It was exactly what we needed! 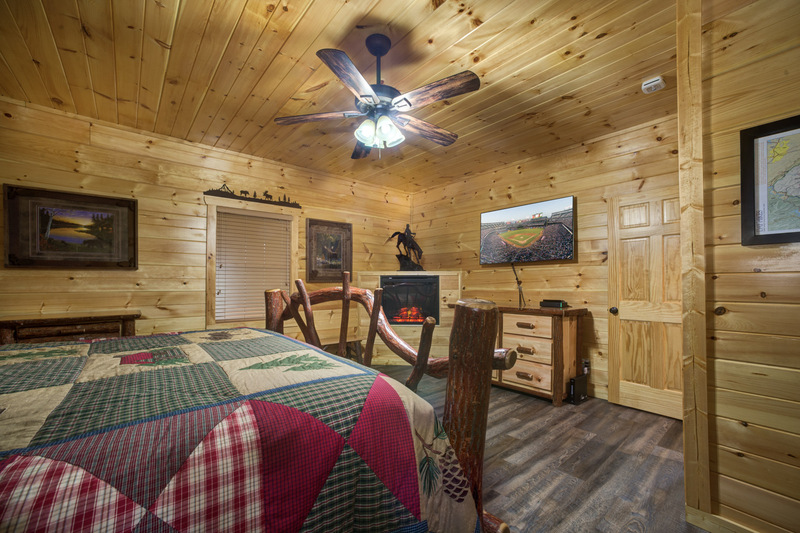 The cabin is located just a short drive to Pigeon Forge offering privacy and tranquility without sacrificing easy access to the main roads. We especially enjoyed our time sitting outside on the fabulous deck and the large private indoor swimming pool. 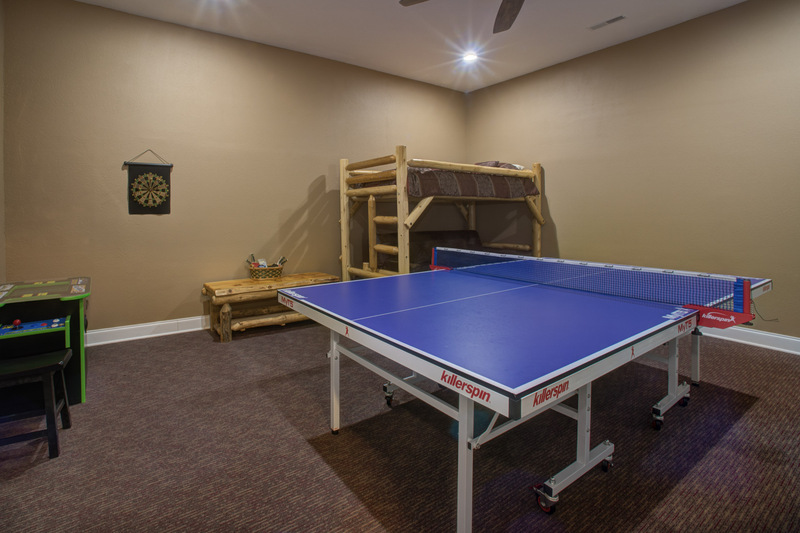 Our kids loved playing the game machine, the ping pong and watching movies in movie room on the huge TV! The cabin is beautiful, I can say that we really loved it. Our only regret is that we didn't stay longer! We hadn't even left the cabin when we started making plans to return next year to see the changing of the leaves from this amazing cabin. Thank you so much and look forward to coming back real soon! Great spot. Very nice and great spot for family! Great place to stay and enjoy the Mountains. The kids enjoyed the pool and hot tub at the end of each day. Only minutes from the mountains and town. Very clean and in excellent condition. Beautiful Cabin and Views Our family enjoyed everything about this cabin. It was extremely clean and very well decorated. We felt at home and will definitely stay again. It has something for all ages and the views are beautiful. Beautiful Home in Quiet Neighborhood! Mere words can not express the beauty of this home. Super clean. Super quiet! Super sweet! Our family had a fantastic stay and we were so close to anything we wanted to do!! 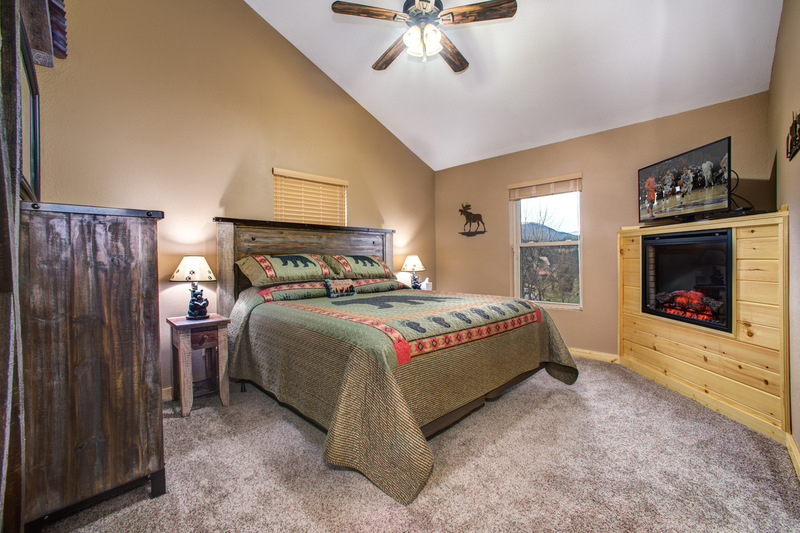 Do yourself a favor and book this wonderful property for your family vacation!! 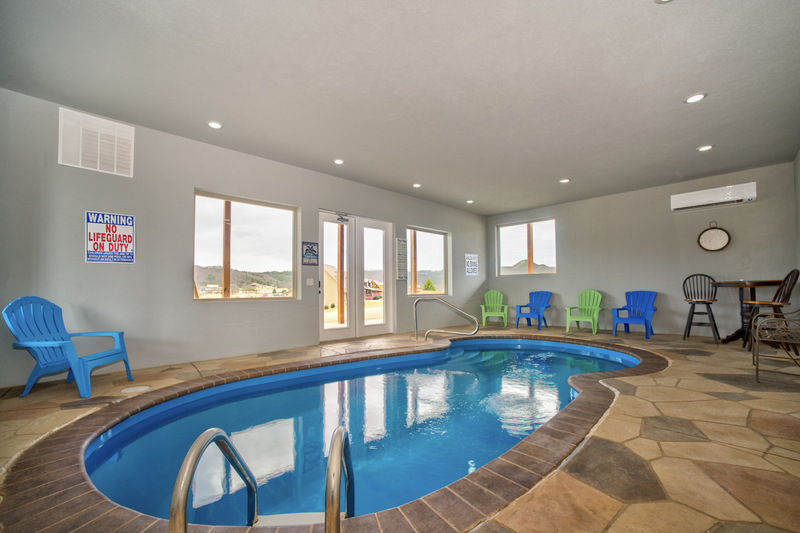 Your kids will have a fantastic time in the pool and the adults will enjoy the peace and solitude of the home and hot tub! The pictures don’t do justice! Amazing home! 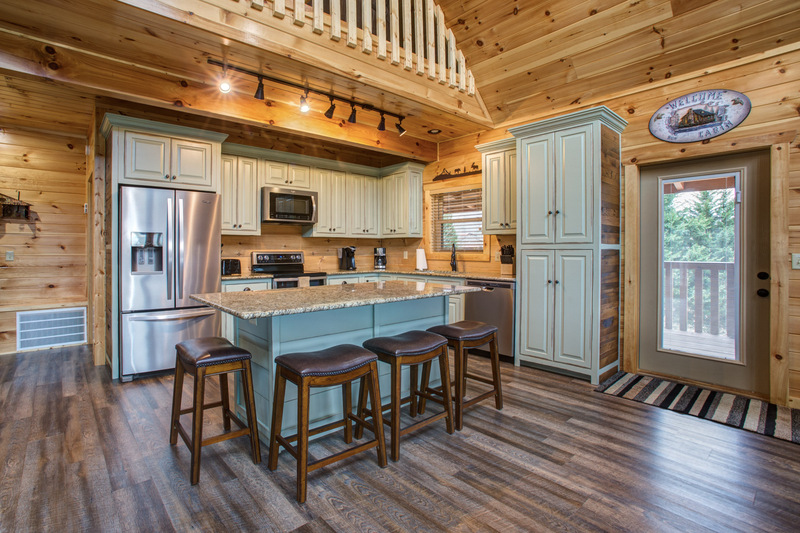 This new cabin has an absolutely perfect layout. It’s gorgeous. Our family thoroughly enjoyed our stay. We will most definitely be back. Great memories! This was a perfect spot for a family vacay. Just outside the hustle & bustle of downtown Pigeon Forge, you are within range of tons of activities but set in a peaceful setting. 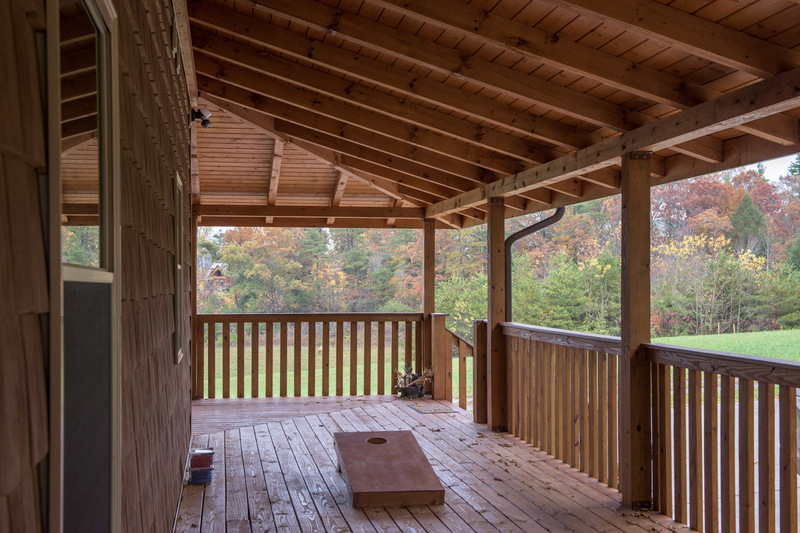 If you wanted to just relax the kids could swim and play games while you swing on the porch, then after dinner you can cap the night off with the S’mores around the campfire. This was absolutely the best family vacay!!!! 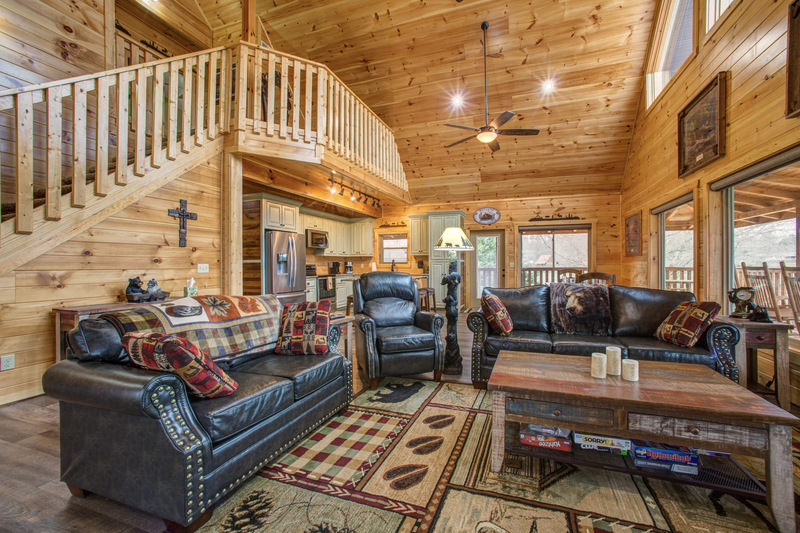 This cabin couldn't be more perfect! 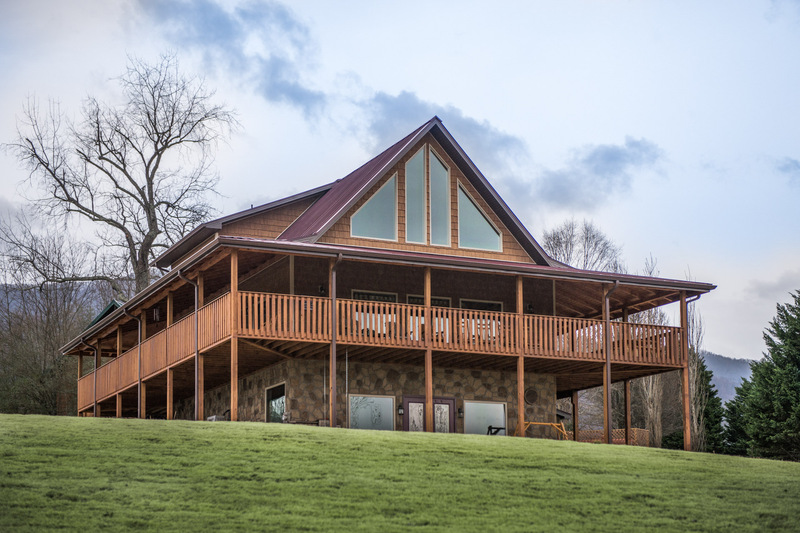 Indoor pool, movie theater, game room, hot tub, outdoor firepit, great views, convenient location; this cabin has it all! 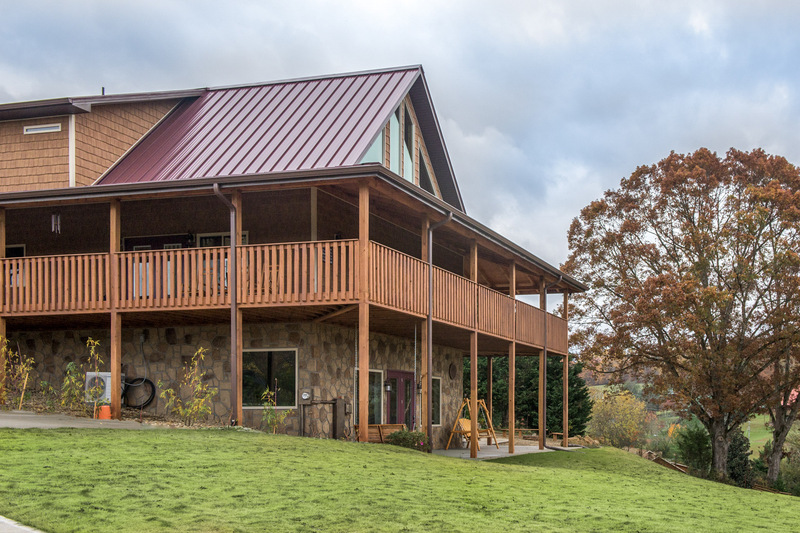 Just a short drive from the excitement of Pigeon Forge or the majesty of Cade's Cove, and a few minutes from the neat shops in Wears Valley (be sure to stop by GSM Outfitters for a cup of coffee and some great hiking gear!) 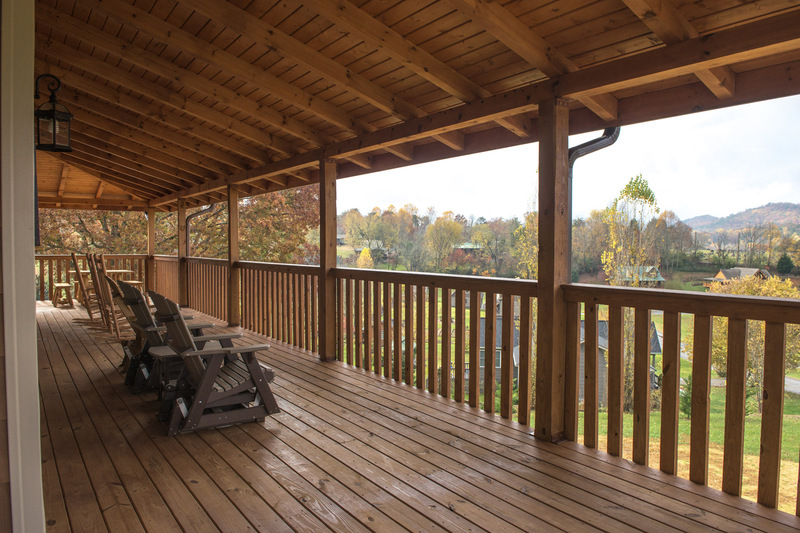 My favorite feature of the cabin is the wrap around covered porch with comfortable rocking chairs, this makes an ideal spot to soak in the views or relax with a good book. The quiet neighborhood also offers a pleasant setting for a evening stroll.